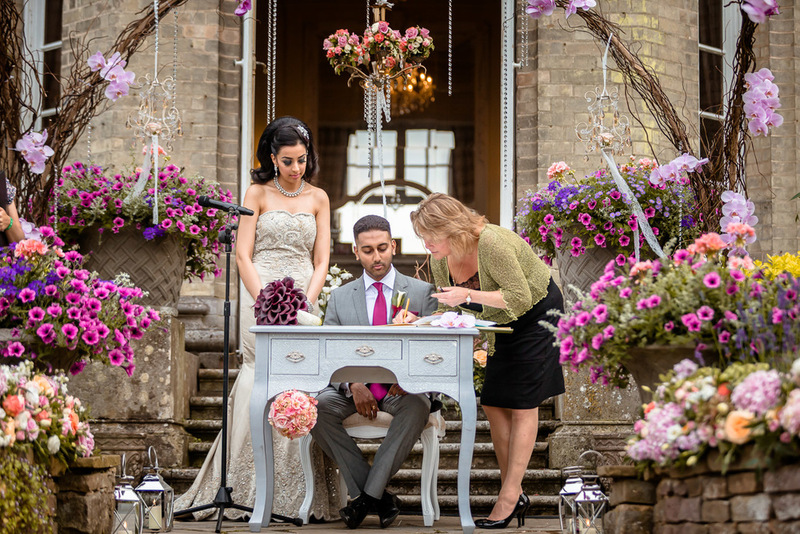 Hedsor has become one of the most perfect backdrops to some truly stunning Asian weddings. The heritage features of the main house and rolling lawns of our 100 acre estate blend seamlessly with all of the bright and vibrant elements of a beautiful Asian wedding. One of our favourite Asian weddings was that of Krishna and Kunal. 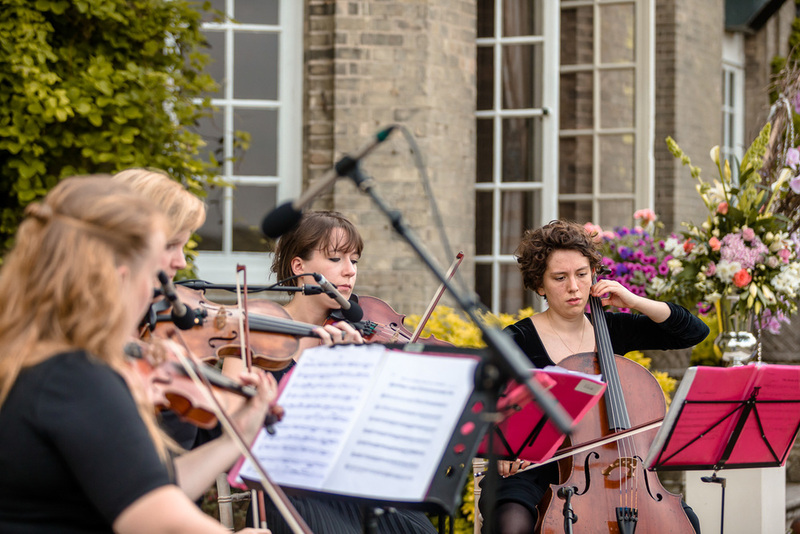 With a civil ceremony in July, followed by a multiple day marquee extravaganza in August, the couple made the very most of everything on offer at Hedsor House. 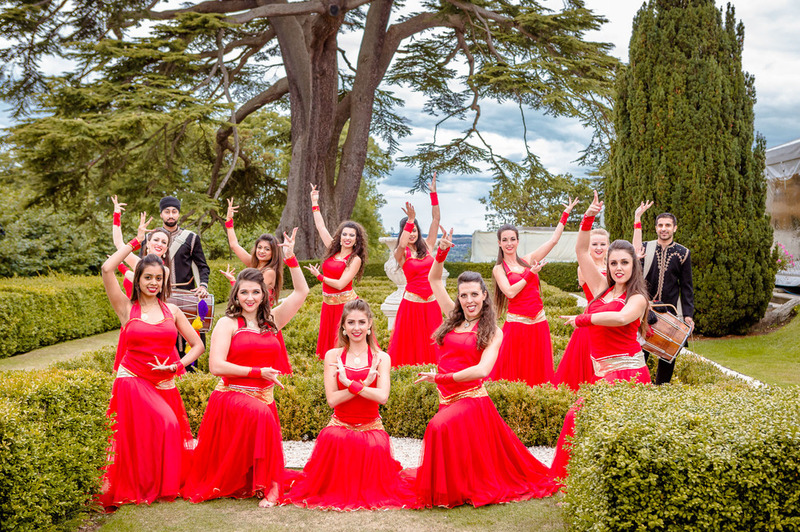 Since many Indian weddings are simply incomplete without dance and music, Hedsor’s legacy of celebration and entertainment set us up well for this special event. 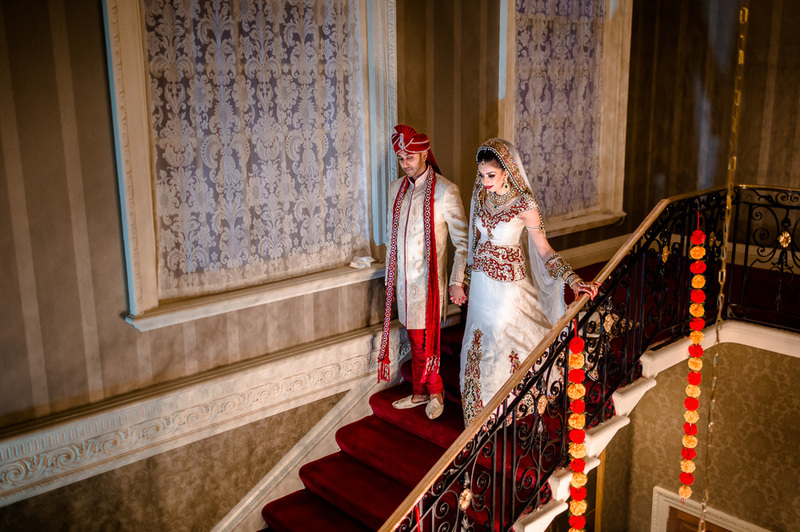 From a Bollywood performance to an incredible DJ set, this wedding had it all! It is a beautiful example of how the house and grounds can be used for multiple day ceremonies, including pre-wedding ceremonies. 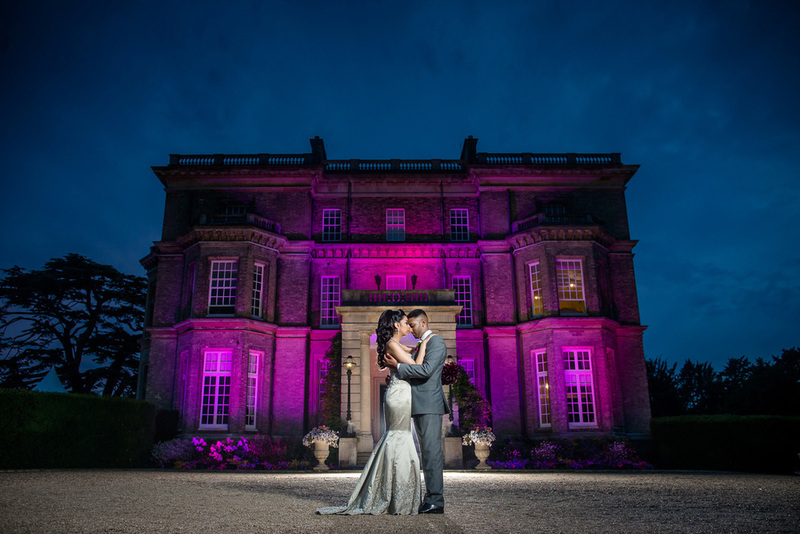 We spoke to Krishna and Kunal to learn more about their stunning Asian wedding at Bride Magazine’s Number One wedding venue in Buckinghamshire. For a start, the long driveway is just beautiful. When we arrived at the house, we felt that Hedsor was very grand. It is so regal and therefore very appropriate for the ‘Royal Indian’ theme we had chosen. It was important for us that the venue we chose could cater to the number of guests we wanted and the various elements of our Asian wedding. With a grand marquee on the lawns and the different rooms in the house, Hedsor fitted our requirements. We also liked working with the team; Mark and his staff made each of us feel very homely for the 3 days we were there at the house. 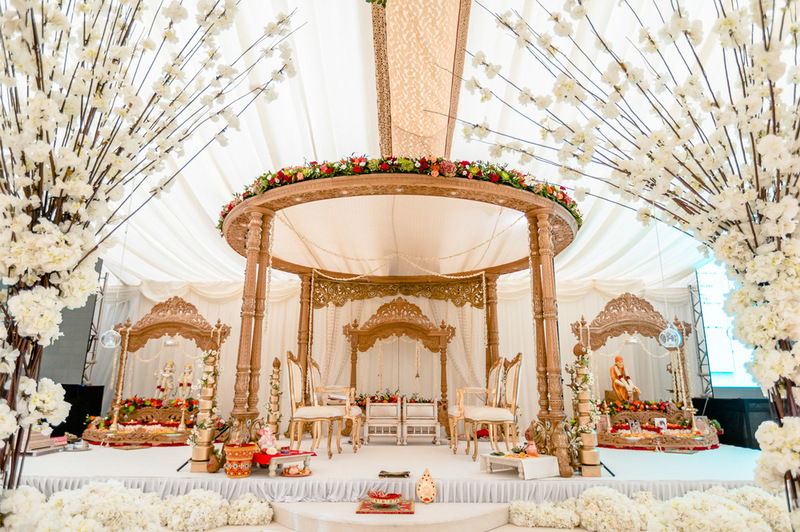 The Theme: It was important to us that our wedding reflected our Indian heritage, and so we took a long time developing elements of a ‘Royal Indian’ theme with a modern twist. 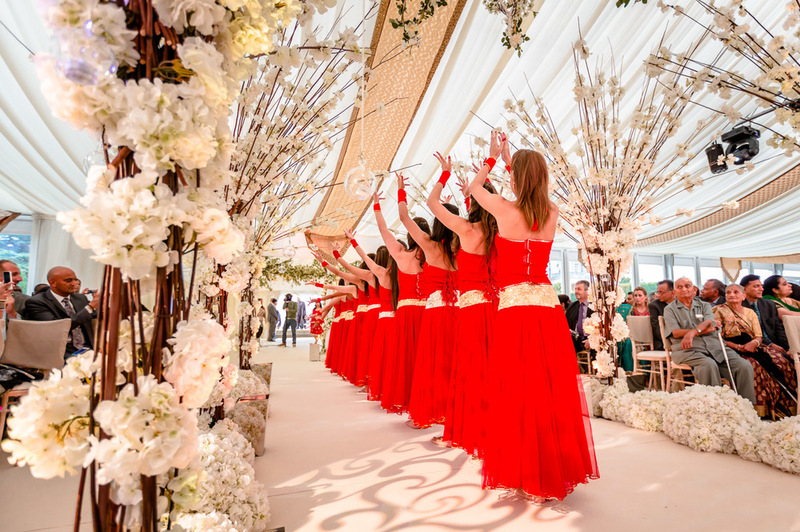 From our glittering gold and cream mandap to traditional Bollywood dancing, we felt like we really blended our cultures with some more contemporary elements against the backdrop of Hedsor House. The Ceremonies & Receptions: We had two ceremonies; a civil ceremony in July at the house, and then a multiple day extravaganza in August with an 800 person marquee on the lawns. After our two ceremonies, we also had two receptions - both were very different styles but equally enjoyable! 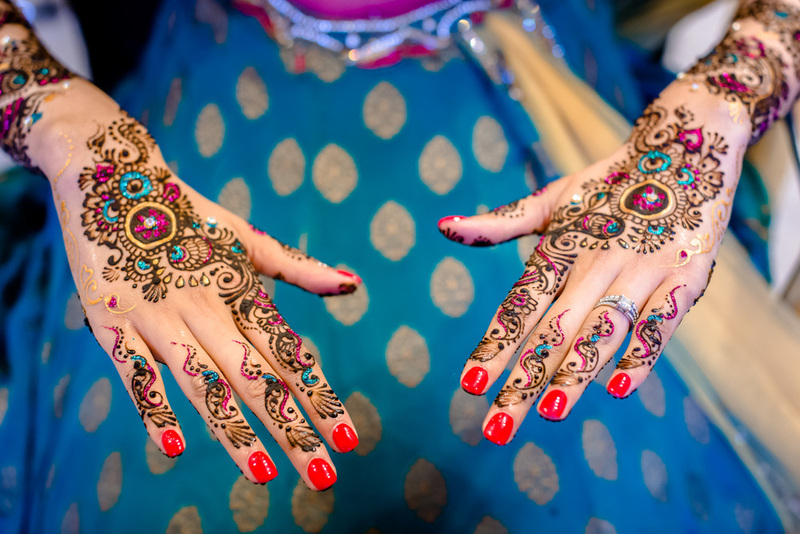 One of our receptions included a traditional mehendi (henna) night, one of the many important traditions for Indian marriages. We made sure we used all of the spaces on offer at Hedsor House, including the lawns to land the helicopter as Kunal arrived! Getting ready in the Bridal Suite was lovely as it was so light and airy. We particularly loved using the flower-filled Sunken Garden as part of our day, too, especially when the owl delivered our wedding rings. It was so atmospheric. The ceremonies and everything about our wedding went very smoothly and impressed all of our guests; in fact, to this day, all guests told us that they’d never been to a wedding like ours before! The Dress: Ami Bridal Couture provided everything for the bride. That involved many elaborate sparkling gowns from a cream fitted dress to magenta and red bejewelled gowns and veils. The photos show the range of beautiful outfits! The Photographer: It was important that we captured every moment of our day. 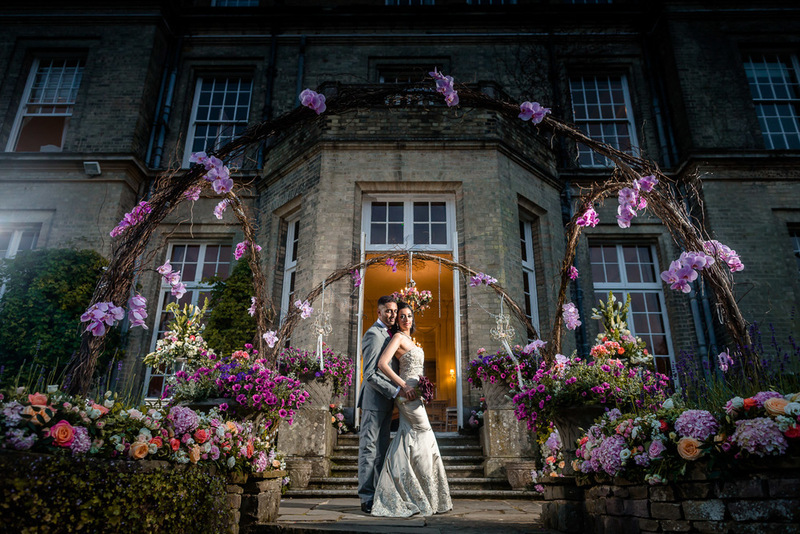 We were very pleased with our choice – Eye Jogia – who is one of the top six wedding photographers in the world. Watch this video for an introduction to the couple’s regal celebration. Huge thanks to Eye Jogia for permission to use a selection of photography from Krishna and Kunal's celebrations!